The art of getting people to meet goals. Managers need to be smart and tactful in order to get things done. They have limited resources at hand and their most important resource is people. If a business school helps you acquire people skills and you are able to work well with others, you have earned a priceless skill. Knowing the difference between right and wrong. Organizations are not just looking for smart people. They also value people with strong ethics. In the past, huge organizations have lost credibility due to unethical practices. And a strong sense of ethics does not just benefit an organization; it is necessary to gain a professional repute and a long term career. Get the message across that meets your objectives. Effective communication skills can make a world of difference for you and your career. For a career in business, you will need communication skills that gets your message across. Inefficiencies arise when organizations lack people who are passing down instructions and no one has any idea what they want. Things won’t be easy. You will face conflicts, dilemmas, and tough decisions. Sometimes, you will have limited time and resources to make the right decision. Here, your problem solving skills will come in handy. Business schools train students in problem solving with the help of case studies, discussions, and projects. Be sure to acquire them before you enter the real world. In order to manage others, you must know how to manage yourself. The rigorous routine and frequent challenges set by a business school merely serves as a trailer before the movie you will ultimately act in. You learn organizational skills and how to effectively meet deadlines. This skill not only lets you manage yourself but helps you in managing others as well. With this key skill, you can also inspire and train others to be better than they are. 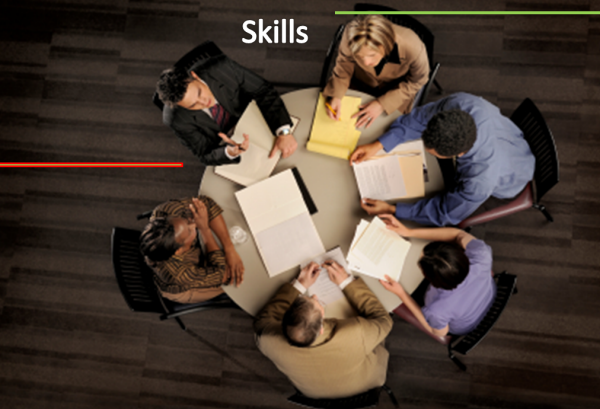 If you enroll in a business school, be sure to learn these key skills before you graduate. Grab every opportunity to get these five vital skills every organization is looking when hiring.